In need of refreshment? In Madeira you don’t have to go far to find a plethora of eateries and watering holes – from high-end restaurants to vibrant bars and cafes. 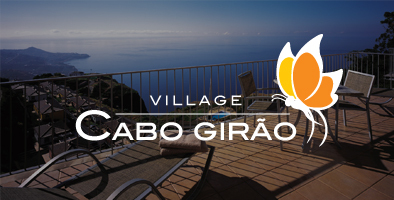 Village Cabo Girão boasts a fabulous on-site restaurant, the Atlântico, offering an exquisite à-la carte menu at affordable prices. The fabulous food, combined with a welcoming atmosphere, friendly staff and spectacular views over the mighty Atlantic Ocean, create a wonderful place to eat. If you’re just looking to grab a drink and a quick bite, the on-site Marlin Pool Bar has it covered. Open daily for light snacks and drinks, the bar also operates a ‘happy hour’ from 4:30pm to 5:30pm. This runs every day except Thursdays, when the weekly barbeque is hosted! There is a mini-market on site, stocking everything you need in the way of food, drinks, toiletries and much more. You can save yourself some money by having breakfast at your villa and making pack lunches to enjoy when you’re out and about. If the mini-market does not have what you are looking for, please ask the shop assistant and they will be happy to try and get it for you. The restaurant, bar and mini-market accept euros and credit cards (with the exception of American Express and Diners Club). If you wish to eat outside the resort, there are plenty of amazing restaurants in Madeira, from affordable bars and cafes to fine-dining establishments. As you might expect, the majority are to be found in capital Funchal, with the distinguished Reid’s Palace Hotel coming highly recommended. The hotel’s Les Faunes restaurant is considered one of the best on the island, and late afternoon high tea is an institution. A stone’s throw from Village Cabo Girão, the picturesque fishing village of Câmara de Lobos also boasts more than its fair share of atmospheric cafes, bars and restaurants. The tiny Tokos Restaurant serves fantastic food at mid-range prices, and is renowned for the friendliness of its staff. The O Celeiro restaurant offers guests a typically Portuguese, but specifically Madeiran, dining experience at very reasonable prices. For a top fine-dining experience try Cris’s – it’s so popular that booking is essential! Vila do Peixe boasts amazing sea views accompanied by the freshest seafood you’ve ever eaten. Their traditional homemade desserts are not to be missed! Viola serves some of the best espetada in Madeira. The portions are huge, the service is friendly and the bill will probably be cheaper than you expected. If you fancy a few drinks, but don’t want to break to the bank, you can’t beat Bar Number Two. It stocks a huge selection of drinks and has a very friendly atmosphere.